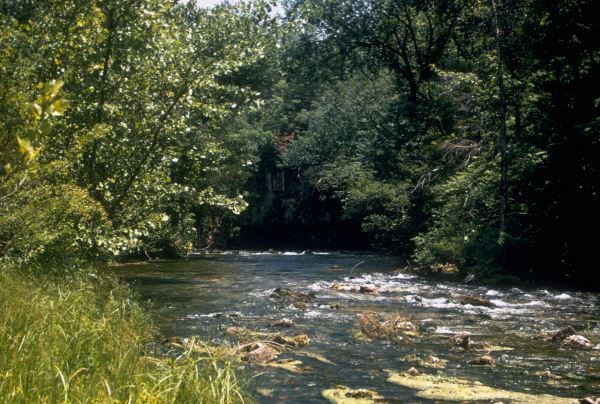 Ozark National Scenic Riverways was created by an Act of Congress on August 24, 1964, to protect 134 miles of the Current and Jacks Fork Rivers in the Ozark Highlands of southeastern Missouri. The rivers are largely spring fed with seven major springs and an additional 51 smaller springs keeping the water clean, clear and cool. 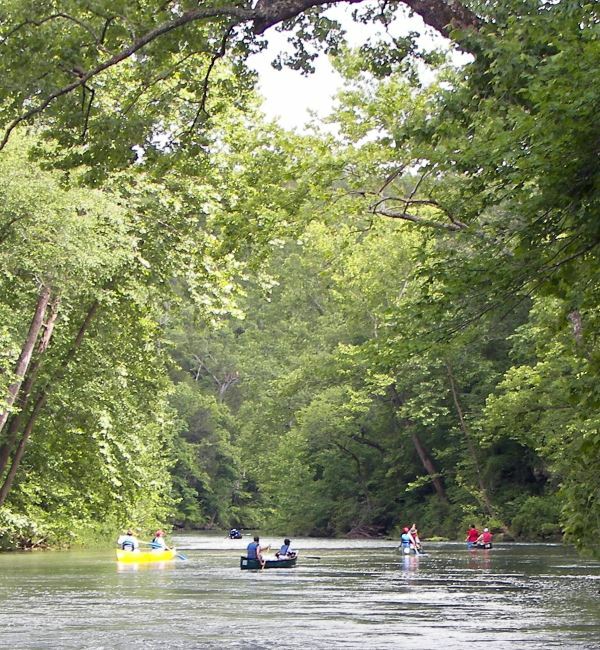 The clear waters of these two beautiful rivers provide excellent opportunities for john-boating, canoeing, swimming, fishing and tubing. Hunting is also an authorized use within the Riverways’ boundaries. The landscape is predominantly rural, with broadleaf forests and occasional open fields. 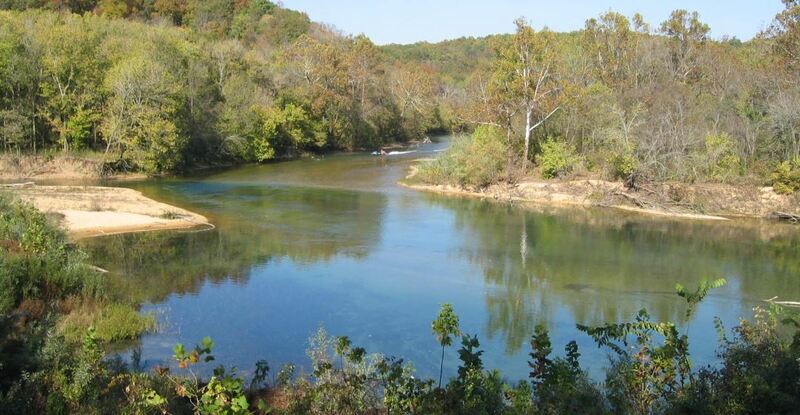 Ozark NSR was the nation’s first “scenic riverways” – a forerunner to the Wild and Scenic River Act by four years. The southeast Missouri Ozark Mountains are typified by narrow steep-sided hollows, numerous streams, and bluffs. Sixty per cent of the rivers’ flow comes from seven major springs and 51 other springs of various sizes within the drainage basin. 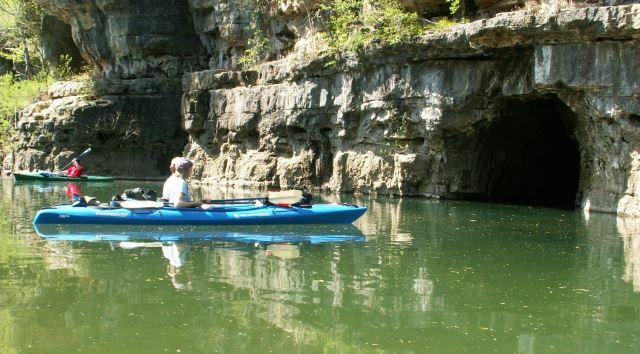 For more information on the Ozark National Scenic Riverways, you can visit their website at www.nps.gov/ozar/. The rivers have been used by humans for at least 12,000 years as evidenced by discovery of scattered Paleo-Indian artifacts. Ozark NSR contains 19 sites currently listed on the National Register of Historic Places as significant historic or archaeological sites. There are over 300 recorded within the boundaries. Several caves have been identified as having critical habitat for the endangered Indiana and gray bats. Some caves are gated or signed to protect bat habitat. Please respect these closures. There are 112 species of fish, 196 species of birds, and 58 species of mammals found in the park. There are also 25 species of snakes found in the park, including 4 poisonous species. The National Park Service is creating a General Management Plan for the park to decide how to steer the management of the park & rivers for the next 15 years and more. For more information on the proposed changes CLICK HERE to visit their website.